Dante Lauretta with Xtronaut Game. Image Credit: PRNewsFoto/Xtronaut Enterprises, Inc.
September 24, 2015 – Dante Lauretta, principal investigator for the NASA OSIRIS-REx asteroid sample return mission and University of Arizona Professor, combined his expertise in space mission planning and technology with his passion for strategy gaming to create Xtronaut: The Game of Solar System Exploration. 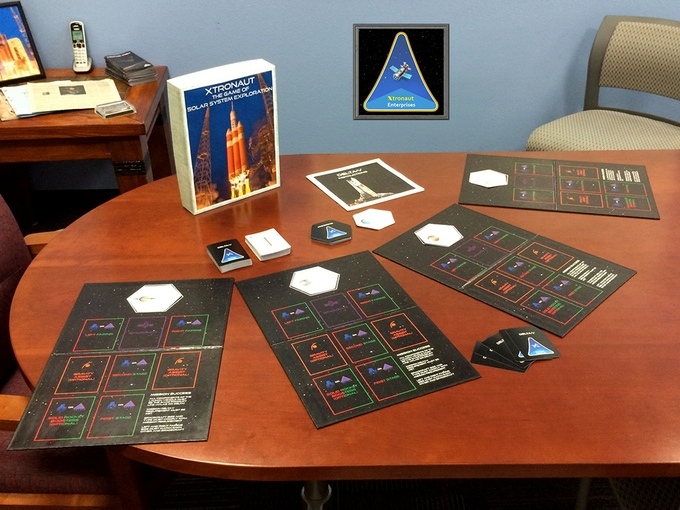 The Xtronaut game captures the various challenges and excitement of planning a space mission. In May of 2011, NASA selected the Asteroid Sample Return Mission, OSIRIS-REx – a $1 billion mission to send a robotic spacecraft to an asteroid named “Bennu”, collect a sample of the asteroid, and return the sample to Earth. Unfortunately, the education outreach budget for OSIRIS-REx was eliminated in 2013. 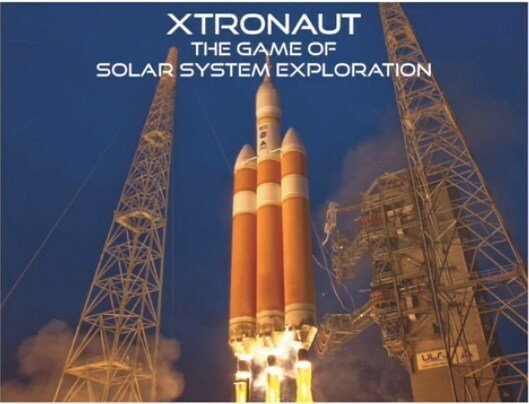 In response, mission leader Dante Lauretta and space entreprenuer Michael Lyon founded Xtronaut Enterprises to develop innovative activities associated with space exploration – including the Xtronaut game. The term Xtronaut celebrates the people that design spacecraft and rockets, operate the vehicles, participate in the science, or simply appreciate the beauty of the universe revealed by the space probes. Lauretta and Lyon launched a Kickstarter campaign to support the game on September 12, 2015, and have exceeded their funding goal of $15,000 with over 300 backers. 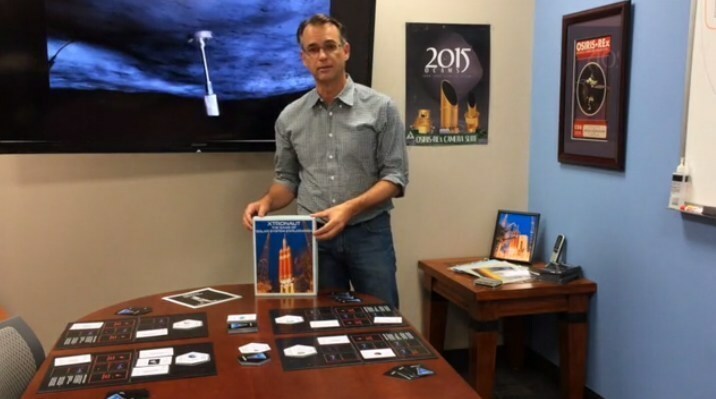 The Kickstarter campaign has been awarded a “Staff Pick” on Kickstarter, and has received endorsements from groups that include Planetary Resources, the Planetary Society, and the United Launch Alliance. Xtronaut: The Game of Solar System Exploration. Image Credit: PRNewsFoto/Xtronaut Enterprises, Inc.
Xtronaut: The Game of Solar System Exploration. Image Credit: Xtronaut Enterprises, Inc. Success with the Kickstarter will permit Xtronaut to put the final version of its game into production, and further its education programs. The OSIRIS-REx mission is scheduled to launch on a United Launch Alliance Atlas V rocket in September 2016 to study Bennu, a near-Earth asteroid that’s about one-third of a mile (approximately 500 meters) across. After rendezvousing with Bennu in 2018, the spacecraft will survey the asteroid, obtain a sample, and return it to Earth in 2023. Lockheed Martin Space Systems in Littleton, Colorado is building the OSIRIS-REx spacecraft. NASA’s Goddard Space Flight Center in Greenbelt, Maryland, provides overall mission management, systems engineering and safety and mission assurance for the mission. OSIRIS-REx is the third mission in NASA’s New Frontiers Program. NASA’s Marshall Space Flight Center in Huntsville, Alabama, manages New Frontiers for the agency’s Science Mission Directorate in Washington.